“A foreign bank is a type of International Bank that is obligated to follow the regulations of both the home and host countries. Because the foreign banks’ loan limits are based on the parent bank’s capital, foreign banks can provide more loans than subsidiary banks.” Foreign Banks are present in India either as representative offices or as branches. A bank may choose to open foreign bank branches to meet the needs of multinational corporate customers. 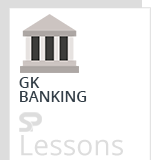 The branch form of presence which means that the foreign bank has its physical branch in India. Second is the presence through Representative Offices in India, which are not actually a branch. Foreign banks often have correspondent banking relationships with domestic banks and provide a useful platform for foreign banks to access opportunities for foreign currency lending to Indian corporate and financial institutions. Foreign banks are defined as banks from a foreign country working in India through branches. RBI has provided rules and guidelines for a foreign bank to establish and operate in India. There is an eligibility criterion on the basis of capital for a foreign bank to operate in India. The Foreign Banks must have at least 5 billion rupees towards capital on establishment. Also, Foreign Banks must credit 18 % of net ANBC (‘adjusted net bank credit’ – which is total investment made by bank on non-governmental securities.) towards agricultural loans. The Foreign banks can have different modes of operation in India. As mentioned above branch mode or Subsidiary mode which is known as WOS (Wholly owned Subsidiary). They can either start the bank branches in the initial setup or later convert them to WOS. To function as a WOS there are several factors to be met. The bank must provide necessary documents to show the proper ownership. The bank must be rated by any International rating agency. Bank must have a risk management team. Foreign Banks account for less than 1% of the total branch network in the country. However, they account for approximately 7% of the total banking sector assets and around 11% of the profits. Most of the foreign banks in India are niche players and their business is usually focused on trade finance, external commercial borrowings, wholesale lending, investment banking and treasury services. Some other banks are confined to private banking and wealth management. Foreign Banks have to adhere to mandated Capital Adequacy requirements as per Basel Standard. Foreign Banks should have to meet minimum capital requirement of Rs. 5 billion. Foreign Banks should need to maintain minimum CRAR at 10% Priority sector targets for foreign banks in India is 40%. Foreign banks have to follow other norms as set by Reserve Bank of India. As of November 2018, there are 45 foreign banks with 286 branches and 40 banks from 22 countries operating as representative offices. Although the discussion around differential licensing is still just coming into existence and beginning to display signs of future potential. There is one foreign bank present as a credit card issuer with limited banking licence. In addition, a number of foreign banks have also entered India via the NBFC route, while a considerable number have set up captive centres in the country. Foreign banks have less than 1% of the total branch network but about 7% of the total banking sector assets and a sizeable 11% of profits. With 334 branches in all, the share of foreign bank branches is less than 1%.